The trouble with being an avid Machin collector is in the past I tended to pick up anything that was Machin related, so over the years I have accumulated loads and loads of Machin material. I used to visit most exhibitions and fairs and if something took my fancy like exhibition sheets I just purchased them. This started a new phase in my collecting habits and once started I always tended to add to it over the years forming a new separate mini collection. 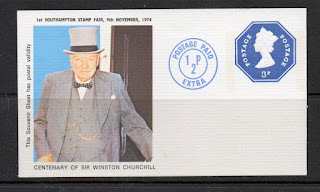 One such phase I had was the acquisition of valid postal souvenir's like the one shown below. This was the first of this type that I had seen. From the 1974, Southampton fair. 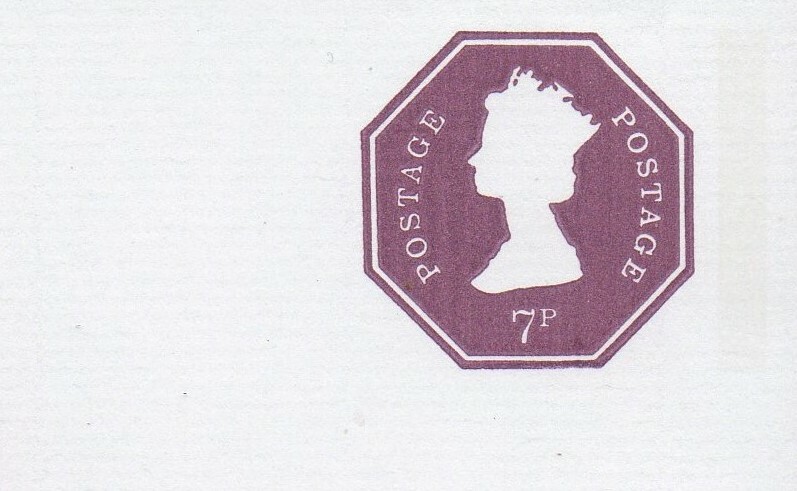 It is described as a post valid exhibition sheet prepared from cut-down postal stationery envelope. It is stamped-to-order with 3p Machin and ½p uprating. 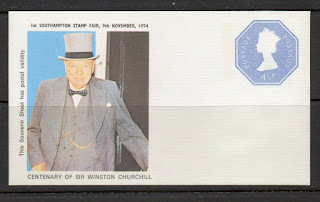 Showing a photograph of Sir Winston Churchill printed by colour-separated half tone. According to records 5000 copies of this were prepared. A second sheet in the same series with a 4.05p octagonal Machin was also prepared and sold at the same fair. Over the following years many more of these sheets followed, sold at different exhibitions. These also joined my collection which grew like a small child over time. 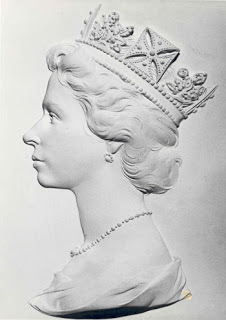 Anniversary of the coronation, Conquest of Everest, The U.P.U, Europa, Olympics, just to name a few. All these show different octagonal Machins with values ranging from 0.3p - 8.05p. Uprates too. Needless to say with all the stuff I have, my shelves are bulging (and sagging) with stock books and a clear out is now required. Reluctantly they are now finding new owners via eBay. I can not remember what I paid for these, I think it was about 1.00p each Anyway, all of them are now listed individually at a start price of 1.25p each. It is very sad to see them go but I have enjoyed them for many years. I hope the new owners will enjoy them too.